If you are a Bostonian who is sick of Pokemon Go players walking around and staring at their phones, Zipcar today could be making your sidewalk scene a little less crowded. The car rental is offering Pokemon Go fans free rides from one end of Beantown to the other if they tweet during a one-hour time slot to @zipcar on Twitter. It's a one-day offer. The chauffeur-styled service includes a survival kit, which entails a phone charger, snacks, etc. for the players, also known as "trainers." The game includes "gyms," which are locations—often retail stores—that let players "train" or battle characters in the mobile game. 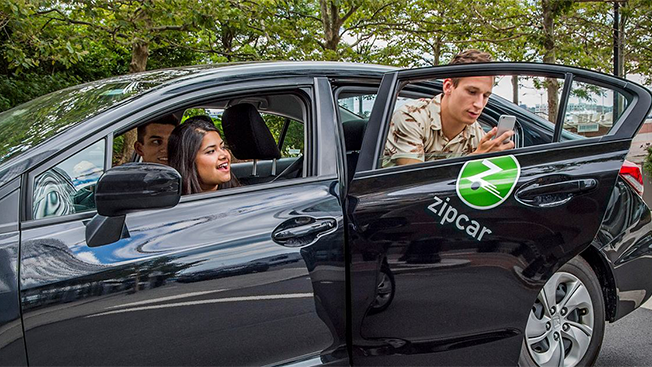 Zipcar's roughly 1 million customers worldwide are unusually tech-savvy, said Andrew Daley, the company's marketing vp. "So there's a natural alignment for our brand," he added. For the uninitiated, Pokemon Go employs a smartphone's GPS to alert users when a Pokemon character appears on their phone in augmented reality. The concept entices players to move around their locale and earn points by catching as many characters as possible. When players are moving around, their avatar on the phone moves in accordance with their position. To physically move around in Pokemon Go, you have to physically move around in real life. If nothing else, the game should help couch potatoes burn a few calories. But not as much if they take up Zipcar's offer in Boston on Thursday. After all the running around they've been doing, though, the players could probably use a break. Pokemon Go, owned by game developer Niantic, has attracted at least 10 million players in roughly two weeks. Zipcar, a membership-based online service, is headquartered in Boston.